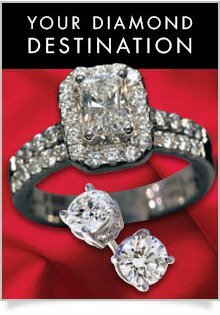 Step inside CC Jewelers and you’ll find exciting ways to Celebrate Life’s Special Moments! 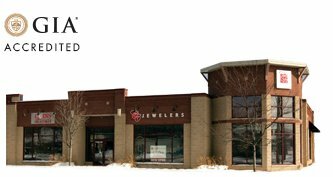 CC Jewelers in Traverse City, Michigan isn’t like many jewelry stores that are multi location stores or members of large buying groups that offer identical, common “commercial” jewelry. Many unique, one-of-a-kind items hand-selected and handcrafted by our jewelers, as well as some unique Estate pieces. A knowledgeable staff that’s happy to explain differences you’ll see in a precious gem such as a diamond, ruby, emerald or sapphire or what to look for in a ring, bracelet, necklace or other jewelry item. A certified GIA Gemologist that is skilled with specialized equipment, such as our state-of-the-art laser welder, to design custom pieces for you or carefully repair vintage jewelry. Two GIA certified Gemologists to explain differences in gems, and help in gem identification. Fine jewelry that’s affordable for any budget. So, whether you are buying that special engagement ring, an anniversary gift or a gift for yourself, we can help. In addition, with approved credit, financing is always available for your convenience. COLOR The highest quality diamonds are colorless, since colorless stones are rare and reflect light better than tinted diamonds. 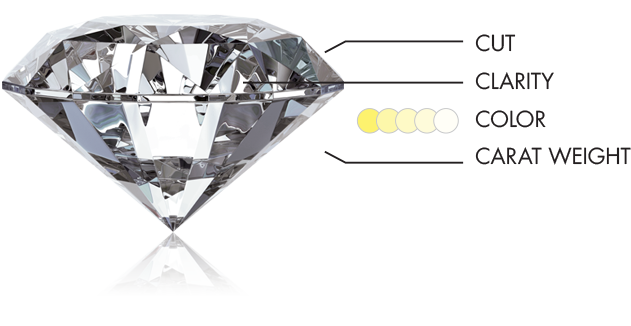 Most diamonds have slight tints of yellow, which are often impossible to see with the naked eye. If you have the budget, consider purchasing a "fancy" diamond, which is a type of rare stone with an especially deep hue. Red and pink fancy diamonds are rare, beautiful, and can be expensive. THE CUT determines a diamond's shape and brilliance. A well-cut diamond reflects light from one facet to another. If cut too deep or too shallow, light escapes from the diamond prematurely, reducing the stone's quality. CLARITY refers to the purity of a diamond. Most diamonds have some surface blemishes known as "inclusions," but extremely high quality stones have no visible marks and are considered flawless. CARAT The weight, or size, of the diamond is measured in carats. The more carats a diamond has, the more expensive it will be. The most common sizes for engagement rings are 1/2 carat, 1 carat, and 2 carat.